Size of this preview: 466 × 599 pixels. Other resolutions: 186 × 240 pixels | 373 × 480 pixels | 747 × 961 pixels. 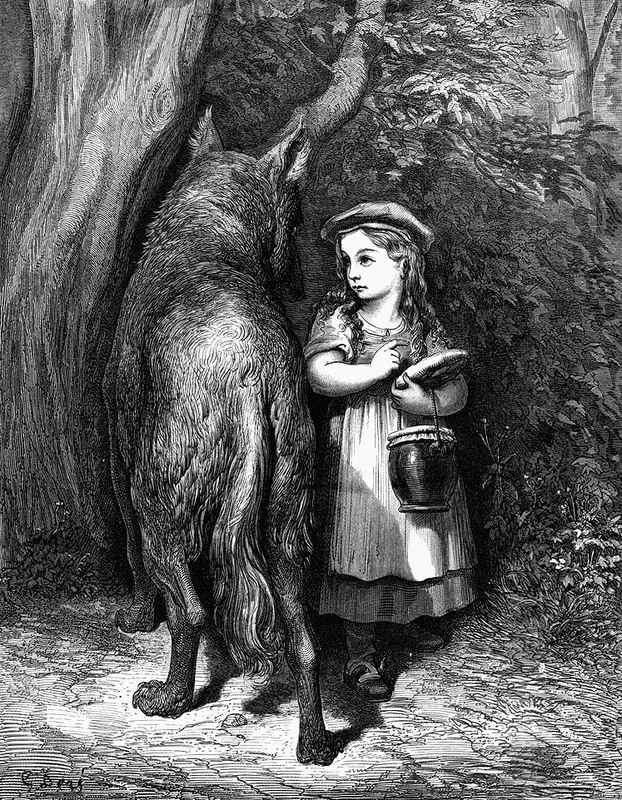 "Red Riding Hood Meets Old Father Wolf", from Gustave Dore's 1864 edition of Histoires ou contes du temps passé, a collection of literary fairy tales written by Charles Perrault, originally published in 1697.